Tony Lawson has become a major figure of intellectual controversy on the back of juxtaposing two relatively simple and seemingly innocuous ideas. He has argued firstly that success in science depends on finding and using methods, including modes of reasoning, appropriate to the nature of the phenomena being studied, and also that there are important differences between the nature of the objects of study of natural sciences and those of social science. This original book brings together some of the world's leading critics of economics orthodoxy to debate Lawson's contribution to the economics literature. 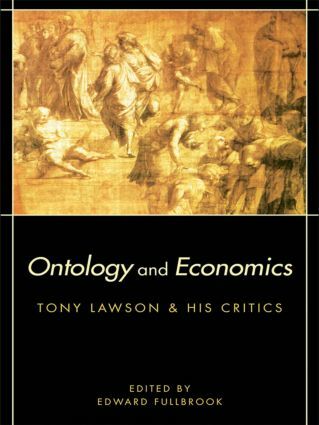 The debate centres on ontology, which means enquiry into the nature of what exists, and in this collection scholars such as Bruce Caldwell, John B. Davis and Geoffrey M. Hodgson present their thoughtful criticisms of Lawson's work. Lawson himself presents his reactions to these criticisms, with full chapter replies to each of the scholars included. This book is particularly useful for students and researchers concerned primarily with methodology and future development of economics. It is also relevant to the concerns of philosophers of science and to all social scientists interested in methodological issues.